Founded: 1988, merged with National Semiconductor in 1997. Bought by VIA in 2000. Founder: Jerry Rogers and Tom Brightman. Specialty: Fabless chip company. Reverse-engineered many Intel chip designs with product releases that were often higher performing. Products included math co-processors for 286 and 386 compatible microprocessors, 386, 486 & Pentium upgrade processors, Pentium microprocessor clones, various upgrade CPU replacements for many 1980-90's Intel designed sockets. 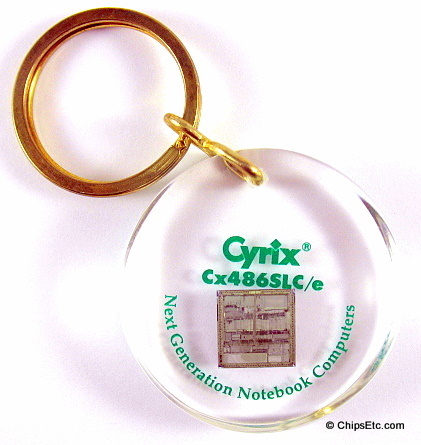 This Lucite keychain has a real Cyrix Cx486SLC/E Microprocessor chip embedded inside. Reads "Next Generation Notebook Computers". The Cyrix Cx486SLC was Cyrix's first original CPU release after years of selling cloned math co-processors and 386 CPUs that competed with Intel and often offered better performance at a comparable or lower price. The Cyrix SLC/e was a low power version of the Cx486SLC designed for use as an upgrade CPU in Intel 386 based notebook computers. The Cx486SLC CPU was available in speeds of 20, 25, 33, and 40 MHz. It featured an internal 32-bit data path (with 486 integer instruction set), but only had a 16-bit external data path (386SX pin compatible cpu interface), a 1 kB cache, but no co-processor. Due to the limitations of having only a 16-bit data path, the 486 SLC processor were often called a "half 386 / half 486" processor by the computer industry who did not want to categorize it as an actual 486 processor, but more as a competitor to Intel's 386SX. Besides Cyrix, both AMD & IBM would compete against Intel in capturing some of the 386 / 486 CPU market in the early 1990's. In SYSmark92 performance tests ran in 1992, both the 25 and 33 MHz versions of the Cyrix 486SLC outperformed the Intel's 386SX, and speed for speed it beat the Intel 386DX/33 processors. 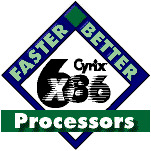 However, the AMD 386/40 and the Intel 486SX/25 easily out performed the Cyrix 486 SLC processor. 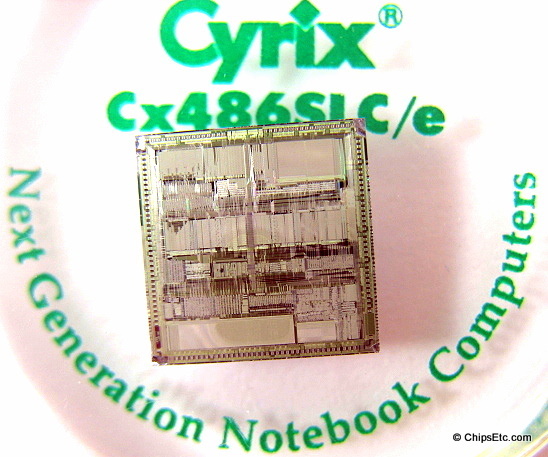 Although this CPU was designed by Cyrix, it was actually manufactured for Cyrix by Texas Instruments using their 0.8 micron CMOS technology, incorporating over 600,000 transistors.